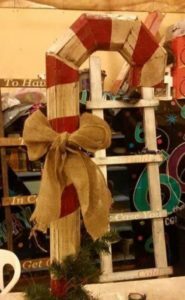 Build this candy cane Christmas decoration. Cost includes all supplies. Pre-register as soon as possible - classes fill up fast. 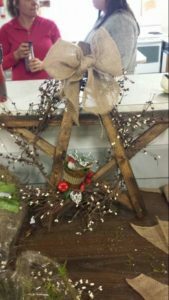 Build your own wooden star decorationi for Chrimtmas. Cost includes pip berries and lights. Pre-register as soon as possible - classes fill up fast. Our most popular workshop! Come and join us to make your very own magical miniature garden. Bring your own container or purchase one here. We will supply soil,3 plants,and 1 miniature item for your garden. 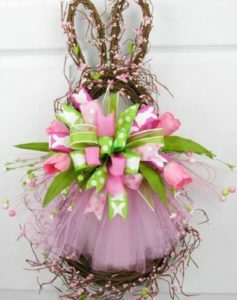 We will also help you to create some of your own miniature decor. Please register ASAP as this popular workshop fills up very quickly. You are invited to join us for our 15th Anniversary Celebration! 15% off throughout the greenhouses, hotdogs, and door prizes. Bring the kids to the grand opening of our little enchanted forest - hunt for the elusive dinosaurs and dig for buried treasure. Choose from 2 different times! SATURDAY MARCH 30th. 9am-12pm OR 1pm-4pm at Pots’n’Pansies Greenhouses & Garden Centre Bunny family-$30 for 2 large bunnies. 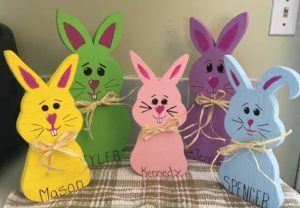 (Dad and Mom) Each baby bunny is $10.00. You can personalize them too. Names or words are $2.00 each on adhesive vinyl. All materials provided. Come and join in our annual Easter egg hunt for the kids. We will have goodies for the kids,snacks and crafts.